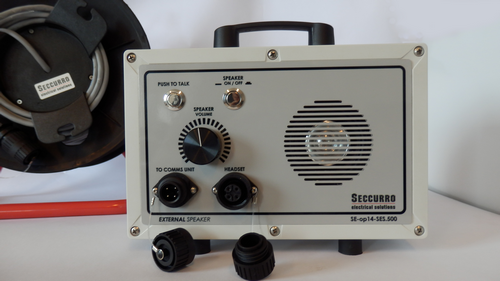 The Seccurro External speaker is a high quality speaker system that can be connected to the excisting communicator unit up to 30 meters from the main communicator. 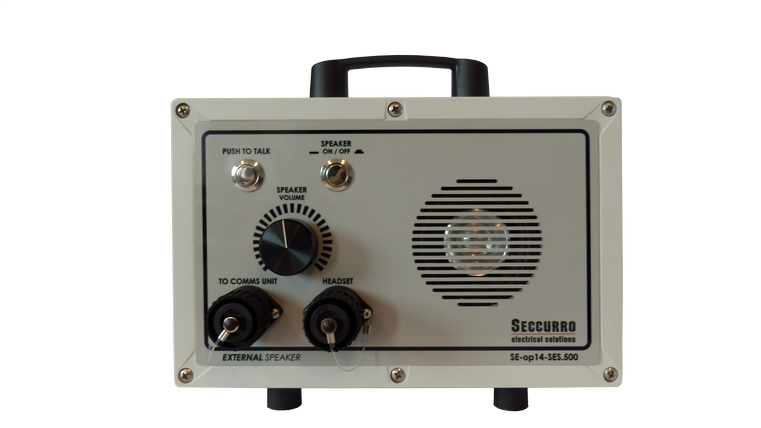 On this unit the following buttons/connectors are located: Press to Talk, Speaker On/Off, Volume, To Comms unit and Headset. 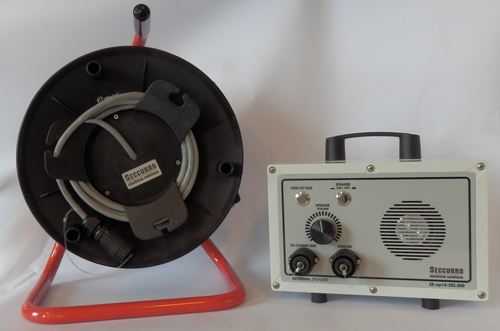 The reel with 30 meters cable has a 4 pole female connector (connection to external speaker comms) and a 7 pole male connector (connection to main comms).